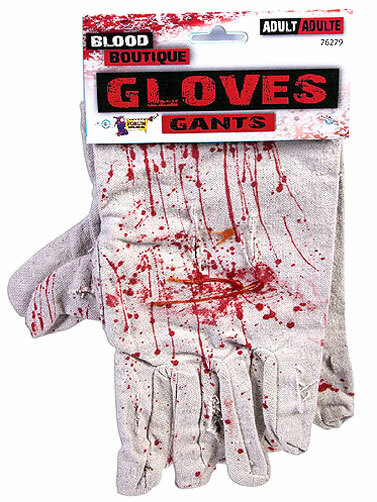 These Bloody Work Gloves look and feel like regular gardening gloves but have the added touch of blood making them perfect for Halloween. Looks great with a number of costumes. Grey gloves with fake blood stains. Polyester. Hand wash. Bloody Work Gloves are Adult Size. One size fits most.